Everyone is welcome in the house of the Lord! 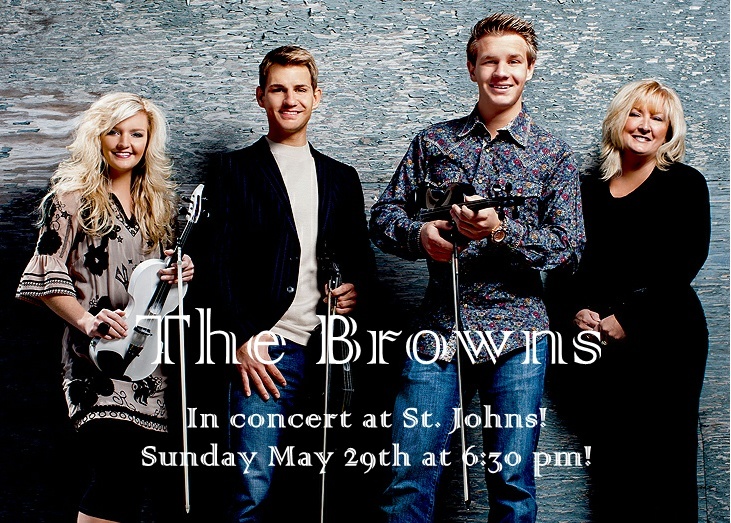 Join us for any of our worship opportunities this weekend and join us at St. John’s on Sunday at 6:30 p.m. to hear the gospel music family “The Browns” in concert! Blessings on your Memorial Day Weekend!